> University of Malaga student I.D. card, allowing free access to all University facilities. > University of Malaga student ID card, allowing free access to all university facilities. 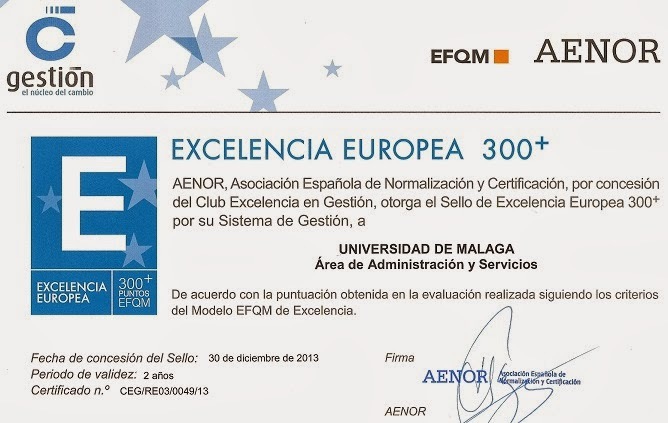 Certificates (included in the enrolment fee): To obtain the University of Malaga Certificate, students must attend at least 80% of the classes and pass the final exam. If a student fails the exam, an Attendance Certificate can be issued, providing the student has attended at least 80% of the classes. Schedule: Monday to Friday, 9:00 - 13:00 h. For months with public holidays, class times may be from 9:00 -14:00 in order to complete the number of course hours. Levels: There are six levels of this course, corresponding to the Common European Framework of Reference (A1, A2, B1, B2, C1 and C2). These courses are offered providing the minimum number of students required is reached after the completion of the level placement test. A placement test is taken during the first two hours on the first day of the course. A final exam is taken during the last two hours on the last day of the course. /cms/secciones/ajax/insertar_seccion/ /cms/secciones/ajax/borrar_seccion/ /cms/secciones/ajax/editar_seccion/ /cms/secciones/ajax/mover_seccion/ Are you sure you want to delete this section? 100354 You are about to cancel the edition. All your changes will be lost. Do you want to cancel and lost your changes?